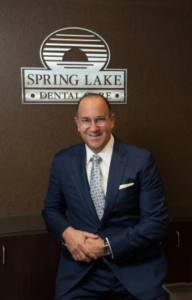 Being recognized by your peers as one of the best in your field is a truly significant honor, and we are very proud to announce that our very own Dr. Peter Ciampi has achieved that distinction yet again! New Jersey Monthly magazine is out with its latest recognitions of Jersey Choice Top Dentists across the state, and Dr. Ciampi is on it for the seventh time. An independent survey commissioned by the magazine was mailed to all dentists in the state who have been licensed by New Jersey for a minimum of five years. The participating dentists then voted for whom they believed to be a “Top Dentist.” Nominees cannot pay for their inclusion on the list of Top Dentists. Once the nominations were received and tallied, an advisory board composed of 22 dentists reviewed the preliminary list, and the Top Dentists were named. Dr. Ciampi, along with the full list of Top Dentists, is featured in both the print and online versions of the publication, which are now available on newsstands and on the web. Our experienced dentist in New Jersey and his team’s commitment to providing treatment that makes our patients happy and enhances their smiles continues year after year. This latest recognition as a Top Dentist in New Jersey is just one of the ways in which that commitment is reflected. We are so excited for Dr. Ciampi and this wonderful honor bestowed by his peers!